The pcb pioneers Werner Peters (Lackwerke Peters), Fritz Stahl (Ruwel) and Hermann Seul (Isola) develop the first mass-produced printed circuit boards in Germany. This was the dawn of pcb manufacturing in Germany and Europe. Here you can find the history of Peters from the beginning of pcb manufacturing in Germany until today. Details of our company history, such as the DIN EN ISO 9001 certification or innovative product developments like the world's first peelable solder mask, will be revealed below. Peters becomes member of the Cree Solution Provider Program as a supplier offering solutions that are suitable for use with Cree LED products. Development of high-temperature stable Elpemer® solder resists in line with the HELP project, a research project of the Federal Ministry of Education and Research on "High-temperature electronics for Electric Mobility"
Publication of the reference book "Conformal Coatings for Electronics Applications". The book meets with such global interest that it is also translated into English. Focus on protection of resources: The innovative Conformal Coating ELPEGUARD SL 1500 FLZ is based on renewable primary products. Mission accomplished! 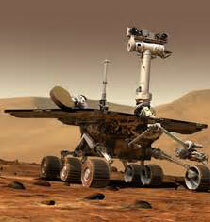 Lackwerke Peters via hole filler flies to Mars - pcbs installed in the Sojourner Mars rover made with SD 2361. Incorporation of Peters Engineering für Elektroniklacke GmbH & Co. KG for the sale of single components or all-round equipment concepts in cooperation with selected suppliers. The first unit is modelled for Siemens Nixdorf. Numerous automotive approvals gained for the SL 1331 N conformal coating. Customers include Hella and VDO. The Elpemer® photoimageable solder masks are ready to market and enable as yet unobtainable resolutions. Customers include Grundig. Move to larger new premises in Kempen, at the same time the company name is changed to "Lackwerke Peters GmbH & Co. KG"